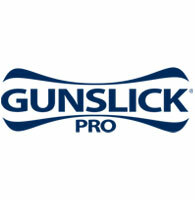 Gunslick® Pro products are designed for serious shooters who demand a thorough clean for precision performance. The company offers the most advanced cleaning chemicals proven to be superior through third party testing. Gunslick also features a full line of cleaning kits and components. For more information, visit www.gunslick.com.